To honour motherhood, we celebrate Mother’s Day on the second Sunday of May every year. 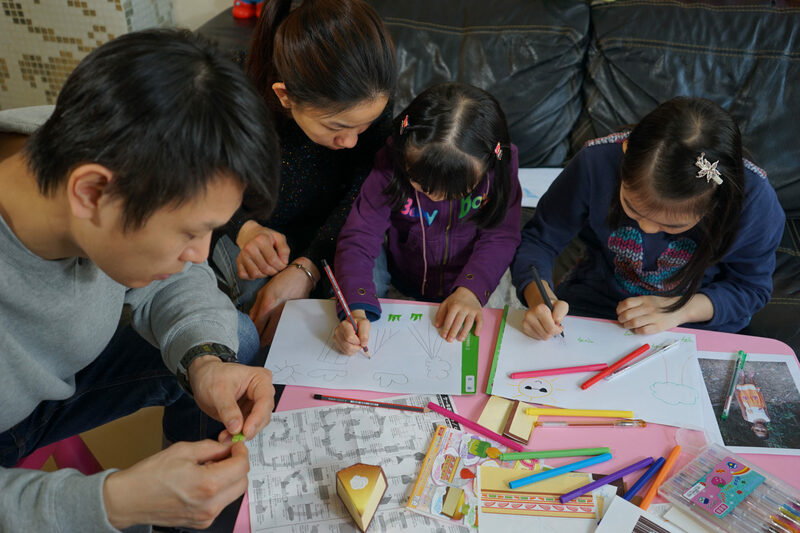 This Mother’s Day, Plan International Hong Kong has invited our child sponsor, Fung to share their moments with their lovable children and the reason why she became a child sponsor. After a critical, life-threatening incident, Fung decided to become a child sponsor to help more needy children. Fung and her husband Mo run a fish stall together and have 2 lovely daughters. They are happy now, yet, Fung actually had a near-death experience when she was pregnant with her second daughter. “I suffered from placenta previa and the doctor told me that the baby and I only had 50% chance of survival. I wouldn’t give up on my little girl and I was not afraid of death, but I was worried about my elder daughter, so I kept urging my husband to take good care of her,” she said as tears filled her eyes. Fung decided to help needy children by sponsoring children through Plan International Hong Kong. The couple now has been sponsoring 20 children from different countries. It’s not easy to sponsor 20 children, but Fung has no regrets. “I am touched and satisfied to see the lives of sponsored children have been improving. I am willing to work harder, so I can make more money to help them.” She said. 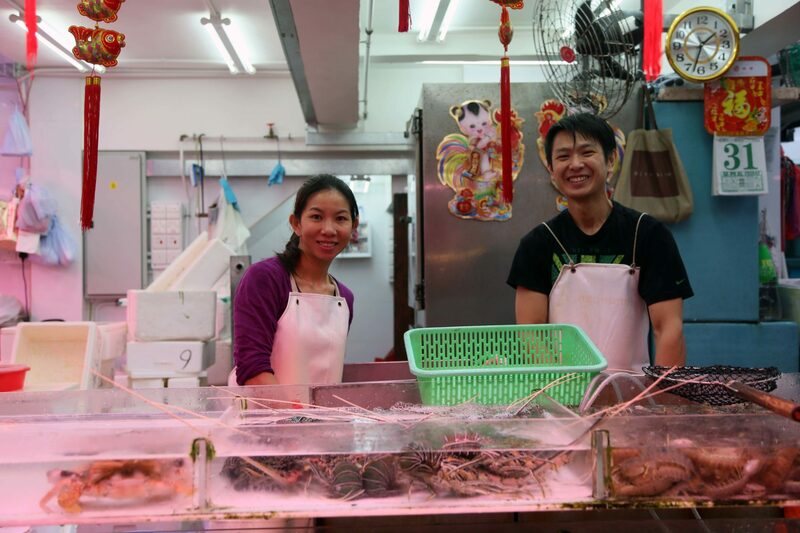 Fung and Mo work very hard at the fish stall, making sure they can keep sponsoring 20 children. 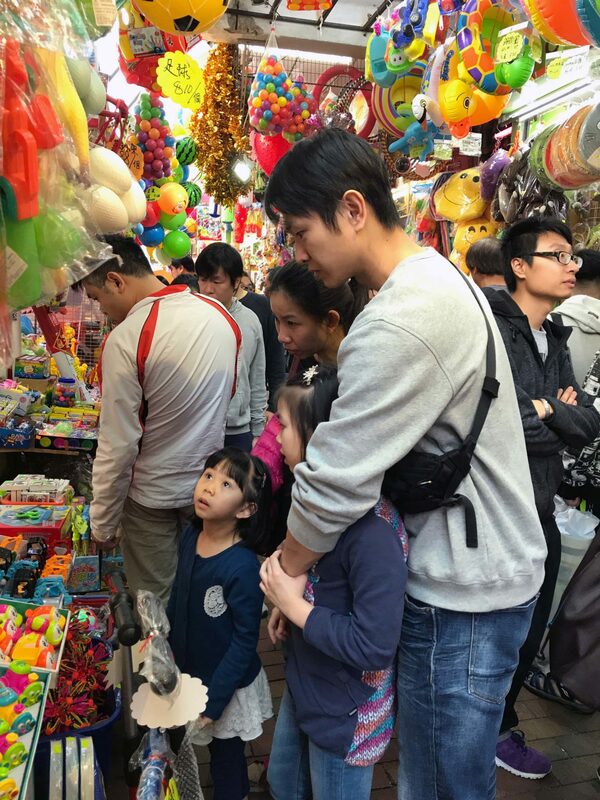 Fung and Mo bring their daughters to Sham Shui Po to buy toys. The toys there are usually cheaper and they can spend more money on other meaningful causes. Through our “Child Sponsorship Programme”, Fung’s husband, Mo wants to help those needy children and hopes that the idea of sponsorship can be “planted” in the minds of his daughters and sponsored children, so that when they grow up, they can also lend a helping hand to others as well. Fung and Mo share stories of their sponsored children with their daughters. The family draws and prepares gifts for the sponsored children. To celebrate Mother’s Day, join Fung to become our Child Sponsor to help more needy children.